Pope Francis recently made news by indicating a preference for translating the phrase “lead us not into temptation” as “do not let us fall into temptation.” He did not say that the English rendering should be changed, only that He was supportive of a recent similar change made to the French translation. I have written on that issue here, but in this post I would like to explore another difficult element in the Our Father. Within the Lord’s prayer is a mysterious word about which scholars (Greek and biblical) disagree. They don’t seem to have a common understanding of its precise meaning. Most Christians who do not read Greek are unaware of the difficulties and debate surrounding the word; they simply accept the most common English translation of the Our Father as undisputed. The problematic word is epiousion. The difficulty is that it seems to exist nowhere else in ancient Greek; no one really knows what it means. Even the Greek Fathers, whose mother tongue was Greek, were unaware of its exact meaning. It occurs nowhere else in the Bible (with the exception of the parallel passage in Luke’s version of the Our Father (Luke 11:3)). It appears nowhere in wider Greek literature, Christian or Pagan. The early Church writer Origen, a most learned and well-read man, thought that Matthew and Luke or the early Church had “made up” or coined the term. So, frankly, we are at a loss as to the exact, original meaning of this word! It’s actually pretty embarrassing when you think about it. Right there in the most memorable text of Christendom is a word whose meaning seems quite uncertain. To be sure, over the centuries there have been many hypotheses as to its meaning. The Eucharist – Some of the Greek and Latin Fathers thought it clearly referred to the Eucharist and surely not to ordinary food or bread. Origen, for example, cited how Jesus rebuked the people in John 6 for seeking bread that perishes rather than the Bread that endures unto eternal life, which is Jesus’ flesh and which He will give us (cf Origen On Prayer 27.2). St. Cyprian, while admitting that “bread” can be understood simply, advanced the notion that the bread referred to here is more certainly Christ Himself in the Eucharist (cf. Treatise on the Lord’s Prayer, 18). Ordinary and daily bread – St. John Chrysostom, however, favored the idea that the bread for which we pray is only “bread for today.” Just enough for one day … Here Jesus condescends to the infirmity of our nature … [which] does not permit you to go without food … I require necessary food not a complete freedom from natural necessities … It is not for wastefulness or extravagant clothing that we pray, but only for bread and only for bread on a daily basis so as not to worry about tomorrow (Gospel of Matthew Homily, 19.5). Bread for tomorrow – St. Jerome said, The word used by the Hebrews to denote supersubstantial bread is maar. I found that it means “for tomorrow” so that the meaning here is “give us this day our bread for tomorrow” that is, for the future (Commentary on Matthew, 1.6.11). Many modern scholars favor this understanding as well. Supernatural bread – However, in the same commentary St. Jerome also wrote, We can also understand supersubstantial bread in another sense as bread that is above all substances and surpasses all creatures (ibid). In this sense, Jerome also seems to see it linked to the Eucharist. When he translated the text into Latin, as the Pope had asked him to do, he rendered it rather literally: panem nostrum supersubstantialem da nobis hodie (give us today our supersubstantial bread). If you look up the text of Matthew 6:11 in the Douay Rheims Bible, you will see the word “supersubstantial,” as in that Bible the Vulgate Latin is rendered into English quite literally. Every good thing necessary for subsistence – The Catechism of the Catholic Church adopts an inclusive approach: “Daily” (epiousios) occurs nowhere else in the New Testament. Taken in a temporal sense, this word is a pedagogical repetition of “this day,” to confirm us in trust “without reservation.” Taken in the qualitative sense, it signifies what is necessary for life, and more broadly every good thing sufficient for subsistence. Taken literally (epi-ousios: “super-essential”), it refers directly to the Bread of Life, the Body of Christ, the “medicine of immortality,” without which we have no life within us. Finally, in this connection, its heavenly meaning is evident: “this day” is the Day of the Lord, the day of the feast of the kingdom, anticipated in the Eucharist that is already the foretaste of the kingdom to come. For this reason, it is fitting for the Eucharistic liturgy to be celebrated each day (CCC # 2837). The Catechism thus attempts no resolution to the problem but simply indicates that several interpretations are possible and do not necessarily exclude one another. Having a Greek word that is used nowhere else and having no agreement from the Fathers as to its meaning, we are surely left at a loss. It seems clear that we have something of a mystery. Reverencing the Mystery – Perhaps the Lord intended that we should ponder this text and see multiple meanings. Surely it is right that we should pray for our worldly food. Likewise, we should pray for all that is needed for subsistence, whether just for today or for tomorrow as well. And surely we should ask for the Bread of Life, the Holy Eucharist, which is the necessary Bread that draws us to eternal life, and which (Who) is over and above all earthly substances. Most modern translations have settled on the word “daily.” For the record, the Latin Liturgy also uses the word daily (quotidianum). No one word can fully capture what is said here. The Lord has left us a mystery to ponder. I know that many of you who read my posts are learned in Greek, Latin, the Fathers, and scripture scholarship; I am most interested in your thoughts. This article has not covered every possible facet of the argument. I leave that you, all who wish to comment. What is the value of one prayer? I suspect it is far greater than any of us imagine. Prayer changes things, sometimes in obvious ways, but more often in subtle and even paradoxical ways. But prayer is surely important, even when we don’t experience its immediate effects. Perhaps this is why Jesus taught us to pray always and never to lose heart (cf. Luke 18:1). St. Paul echoed this with the simple exhortation, “Pray without ceasing” (1 Thess 5:17). St. James also warned, “You have not because you ask not” (James 4:2). Praying for the living is a great and wondrous spiritual work of mercy; its value is beyond that of gold or pearls. What is the value of one prayer? The effectual fervent prayer of a righteous man is powerful in in its effects (James 5:16). Prayer can avert war, bring healing, cause conversion, bestow peace and serenity, and call down mercy—sweet, necessary, and beautiful mercy. Prayer is a treasure of inestimable value. Perhaps one of the greatest joys of Heaven will be seeing how much of a difference our prayers made, even the distracted and perfunctory ones. Maybe our simple utterance at the end of a decade of the rosary to “Save us from the fires of Hell” and to “Lead all souls to Heaven” will reach the heart of one lost soul, prompting him to answer the gentle call of God to return. Imagine that in Heaven that very sinner comes up to you and says, “Though we never met, your prayer reached me and God applied His power to me.” Imagine the joy of many such meetings in Heaven. Imagine, too, whom you will joyfully thank for their prayers, people you know and some you never met. But they prayed and the power of their prayers reached you. While the value of praying for the living is not widely disputed, praying for the dead is a spiritual work of mercy that has suffered in recent decades. Too many Catholics today “miss a step” when a loved one dies. There are often immediate declarations that the deceased is “in Heaven” or “in a better place.” But Scripture doesn’t say that we go right to Heaven when we die. No, indeed. First, there is a brief stopover at the judgment seat of Christ. The Letter to the Hebrews says, It is appointed for men to die once and after this comes judgment (Heb 9:27). St. Paul writes, For we must all appear before the judgment seat of Christ, so that each of us may receive what is due us for the things done while in the body, whether good or bad (2 Cor 5:10). Our deceased loved ones go to the judgment seat of Christ, and that is worth praying about! Indeed, the Lord has made all of us a promise: You therefore must be perfect, as your heavenly Father is perfect (Mat 5:48). Such a beautiful promise! Yet most of us know that we are not in such a state now. If we were to die today it is clear that much work would still be required. Thus when we send our faithful loved ones to judgment, although we send them with hope, we are aware that finishing work may be necessary. Purgation and purification are necessary before entering Heaven, of which scripture says, Nothing impure will ever enter it (Rev 21:27). Again, this is worth praying about. It is a great work of mercy we can extend to our deceased loved ones, to remember them with love and to pray, in the words of St. Paul, May God who has begun a good work in you bring it to completion (Phil 1:6). Pray often for the souls in Purgatory. Surely there are joys there for them, knowing that they are on their way to Heaven, but there are also sufferings that purgation must cause. St. Paul says of Purgatory, Each one’s work will become manifest, for the Day will disclose it, because it will be revealed by fire, and the fire will test what sort of work each one has done. If the work that anyone has built on the foundation survives, he will receive a reward. If anyone’s work is burned up, he will suffer loss, though he himself will be saved, but only as through fire (1 Cor 3:13-15). Yes, there is fire, but thank God it is a healing fire. There are tears, too, for Scripture says (regarding the dead) that Jesus will wipe every tear from their eyes (Rev 21:4). How consoling and merciful our prayers must seem to our beloved who have died! Our prayers must seem like a gentle wind that speeds them along, onward and upward toward Heaven! Praying for the dead, then, is the last and greatest spiritual work of mercy. By the grace of it, and through its help, souls attain the glory God has prepared for them from the foundation of the world. There is a text from the Acts of the Apostles (read last week at Mass) that sets forth quite well some of the qualities of the Sacred Liturgy. Although the “liturgy” cited in this passage is not a Mass, the description should apply to all our liturgies; from the Liturgy of the Hours to baptism, from a penance service to a full sung Mass. Let’s look at the passage and learn from it the power of liturgy to deliver, instruct, and transform us and the world. And they spoke the word of the Lord to him and to all who were in his house. and he was baptized at once, he and all his family (Acts 15:25-33). Determination – About midnight, while Paul and Silas were praying and singing hymns to God as the prisoners listened … Here they are in an awful place, a deep dungeon with rats and filth all about, and yet they are singing. An old hymn reminds us to persevere in praise: “Whatever my lot, thou hast taught me to say, ‘It is well with my soul, it is well.’” Yes, happiness is an inside job. There may be times when we don’t feel emotionally ready to praise God, but we have to command our soul. In the words of the psalm, I will bless the Lord at all times. His praise shall continually be in my mouth (Psalm 34:1). Note that this is communal not personal prayer, and thus it is a kind of liturgy. They are singing hymns, a form of communal and liturgical prayer. More literally, the Greek text says that they were singing praises (humneo) to God. “Hymn” comes from humneo. Perhaps they were singing psalms or perhaps they were singing newly composed hymns such as we see in Philippians 2:5-11, Ephesians 1:3-14, or Colossians 1:15-19. But note their determination to praise the Lord anyway. Such praises will bring blessings, for when praises go up, blessings come down. The Church must always be determined to celebrate the liturgy. The last thing we should ever consider stopping is the Mass! Recall how many priests and bishops locked up in prisons were earnest to obtain even the slightest scraps of bread or drops of wine in order to celebrate the Mass. Recall the many martyred priests during troubled times in England who risked everything to celebrate the Holy Mass. We must always be determined to pray, and whenever possible, to celebrate the Sacred Liturgy, even at great risk. Disturbance – … suddenly such a severe earthquake that the foundations of the jail shook … Does our worship rock this world to its foundations? It should. The world ought to know and experience that we are at prayer! We should rock this world with our refusal to be discouraged at what it dishes out. Further, good prayer, preaching, and the simple presence of the Church ought to shake things up a bit. It is said that a good preacher will comfort the afflicted and afflict the comfortable. Each of us has a little of both within us. Note that the early Christians were often arrested for being “disturbers of the peace.” They said politically dangerous things like “Jesus is Lord” rather than “Caesar is Lord.” Religiously, they upset the order by announcing that many of the old rites were now fulfilled. Temple worship was over. Jesus was the true temple and Lord, and the Eucharist now supplanted the lucrative temple rites. Morally, the Church shook things up by demanding love of one’s enemies and that people no longer live as did the pagans, in the futility of their minds. These things and more tended to disturb the political, social, and religious order. Liturgically, we gather to celebrate and learn many earthshaking truths and to be liberated from the hold of the world, the flesh, and the devil. Yes, the presence of the early Church was a kind of earthquake. When the Church is strong she not only consoles; she disturbs and even rocks things to their foundations by the simple declaration, “Thus says the Lord” and by our praise of Him who is true Lord and Sovereign King, far outranking all other kings and those who demand our loyalty and conformity. Deliverance – … all the doors flew open, and the chains of all were pulled loose. The liturgy of praise and worship of God should effect an ongoing deliverance. The prayer of the Church in her liturgy should set people free: prison doors swing open, chains fall loose, and increasing freedom is granted to faithful. I am a witness to this and I pray that you are as well. I have attended and celebrated Mass every day for more than thirty years now. In that time, through praise, hearing God’s Word, being instructed in God’s Word, receiving the Word Made Flesh in Holy Communion, and deep abiding fellowship with believers, I am a changed man. Many shackles have come loose. A new mind and heart have been given to me and the prison cells of anxiety are no longer. Deliverance is what happened to us when the Lord took us out of the kingdom of darkness and into the Kingdom of Light. Through the liturgy, that deliverance becomes deeper, richer, broader, and higher. Dignity – When the jailer woke up and saw the prison doors wide open, he drew his sword and was about to kill himself, thinking that the prisoners had escaped. But Paul shouted out in a loud voice, “Do no harm to yourself; we are all here.” The liturgy we celebrate is that of the Catholic Church. The term Catholic refers to the universality of the Church’s mission. All are to be called. One effect of the liturgy on us should be that we neither hate nor exclude anyone. Paul and Silas do not gloat over the misfortune of their jailer. Knowing his dignity, they call out to him, even at the risk of their lives. The Church, too, seeks the welfare and salvation of even our most bitter opponents. 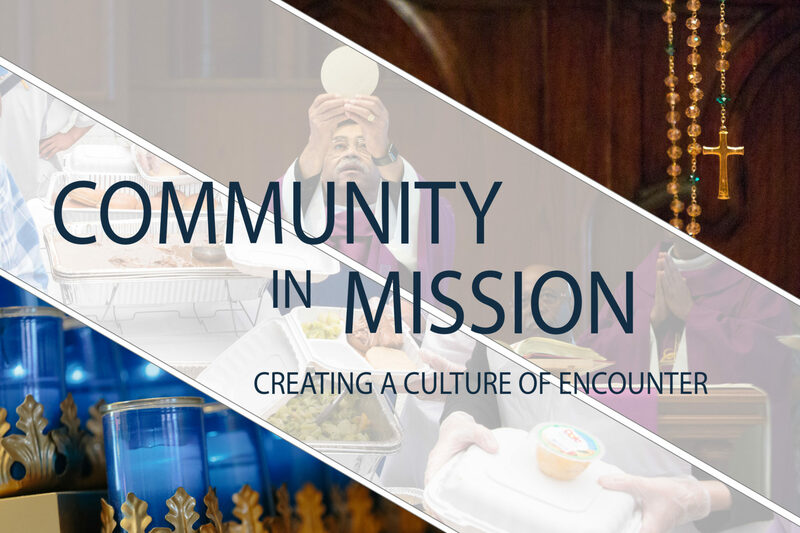 Our liturgy is celebrated not only for our friends but for the whole world. The Church is Catholic; all are called. Painting a picture of the Church, Scripture says, I [John] looked, and there before me was a great multitude that no one could count, from every nation, tribe, people and language, standing before the throne and before the Lamb. They were wearing white robes and were holding palm branches in their hands (Rev 7:9). I realize how true it is that God does not show favoritism but accepts from every nation the one who fears him and does what is right. Everyone who believes in him receives forgiveness of sins through his name (Acts 10: 34-35, 43). Discipleship – [The jailer] asked for a light and rushed in and, trembling with fear, he fell down before Paul and Silas. Then he brought them out and said, “Sirs, what must I do to be saved?” And they said, “Believe in the Lord Jesus and you and your household will be saved.” And they spoke the word of the Lord to him and to all who were in his house. And he took them the same hour of the night and washed their wounds; and he was baptized at once, he and all his family. Making disciples (not just members) is the primary job of the Church. To be a disciple is to be a follower of the Lord, but the word “disciple” also comes from the same Latin root (discere) as the word “learning.” Thus, the Church in her liturgy not only worships the Lord, she instructs the faithful and supplies the sacraments. Note that the jailer asks for light. Do not think of this as merely a practical request. Asking for light is asking for the enlightenment that comes from Faith and Baptism. The Church in her liturgy and by her witness supplies light and acclimates the faithful to that light. The jailer, having asked for the light, been instructed, and become accustomed to the light, is baptized. Here, then, are some goals of and a description of true liturgy, one that rocks the world and yet delivers the faith, forming the people in the beauty of God’s grace. Do you and your fellow parishioners see the liturgy this way or do you see it as distant, even boring? See what this Scripture passage teaches about the truest goals and nature of every liturgy, great or small, in the Church. To my mind, one of the most remarkable prayers ever written was one attributed to Clement XI, who was pope from 1700-1721. Many have never heard it. The prayer is called “universal” because of its sweeping themes. Upon completing it one might well ask if anything at all was left out! My friends and my enemies. As beautiful and helpful as the Universal Prayer is, it is nearly unknown. It is a bit long to reproduce in its entirety, but is available for viewing and download here: The Universal Prayer. Here is a video in which the prayer is recited. Now off to prayer with you! Is It Time to Restore the Full Psalter to the Liturgy of the Hours? One of the great gifts of reading the Liturgy of the Hours (also called the Breviary) faithfully over the years faithfully is that the Scriptures become deeply impressed upon the mind, heart, memory, and imagination. This is especially true of the psalms that are repeated every four weeks, all year long, every year. But there are significant omissions in the modern Breviary. This is true not merely because of the loss of the texts themselves, but that of the reflections on them. The verses eliminated are labeled by many as imprecatory because they call for a curse or wish calamity to descend upon others. Pour out O Lord your anger upon them; let your burning fury overtake them. … Charge them with guilt upon guilt; let them have no share in your justice (Ps 69:25, 28). Shame and terror be theirs forever. Let them be disgraced; let them perish (Ps 83:18). Prior to the publication of the Liturgy of the Hours, Pope Paul VI decreed that the imprecatory psalms be omitted. As a result, approximately 120 verses (three entire psalms (58, 83, and 109) and additional verses from 19 others) were removed. The introduction to the Liturgy of the Hours cites the reason for their removal as a certain “psychological difficulty” caused by these passages. This is despite the fact that some of these psalms of imprecation are used as prayer in the New Testament (e.g., Rev 6:10) and in no sense to encourage the use of curses (General Instruction # 131). Six of the Old Testament Canticles and one of the New Testament Canticles contain verses that were eliminated for the same reason. A second issue is that it is troubling to propose that the inspired text of Scripture should be consigned to the realm of “psychological difficulty.” Critics assert that it should be our task to seek to understand such texts in the wider context of God’s love and justice. Some of the most teachable moments come in the difficult and “dark” passages. Whatever “psychological difficulty” or spiritual unease these texts cause, all the more reason that we should wonder as to the purpose of such verses. Why would God permit such utterances in a sacred text? What does He want us to learn or understand? Does our New Testament perspective add insight? While some want to explain them away as the utterances of a primitive, unrefined, or ungraced people and time, this seems unwise and too general a dismissal. So easily does this view permit us to label almost anything we find objectionable or even unfashionable as coming from a “more primitive” time. While it is true that certain customs, practices, punishments, and norms (e.g., kosher) fall away within the biblical period or in the apostolic age, unless this is proposed to us by the sacred texts or the Magisterium, we should regard the sacred text as being of perennial value. Texts, even if not taken literally, should be taken seriously and pondered for their deeper and lasting meaning. First, as a prediction rather than a wish that the sinner be damned. Unrepentant sinners will indeed be punished and possibly forever excluded from the Kingdom of the Righteous. Second, as a reference to the justice of punishment rather than as gloating over the destruction of one’s enemies. It is right and proper that unrepented sins and acts of injustice be punished; it is not wrong to rejoice that justice is served. Third, as an allegory of the removal of sin and the destruction of its power. We who are sinners should rejoice to see all sinful drives within us removed. In these verses, our sinful drives are often personified as our enemy or opponent. To all of this I would like to add a further reflection on the value and role of imprecation in the Psalter (including the omitted verses). Because the general instruction speaks to “psychological difficulty” in regard to imprecation, I think it is good to recall that the overall context of prayer modeled in the Scriptures is one of frank disclosure to God of all of our emotions and thoughts, even the darkest ones. Moses bitterly laments the weight of office and even asks God to kill him at one point (Num 11:15). Jonah, Jeremiah (15:16), and other prophets make similar laments. David and other psalm writers cry out at God’s delay and are resentful that sinners thrive while the just suffer. At times they even take up the language of a lawsuit. Frequently the cry goes up in the psalms, “How much longer, O Lord” in the psalms. Even in the New Testament, the martyrs ask God to avenge their blood (Rev 6:10). Jesus is later described as slaying the wicked with the sword (of his word) that comes from his mouth. Yes, anger, vengeance, despair, doubt, and indignation are all taken up in the language of prayer in the Scripture. It is an earthy, honest sort of prayer. I want you to speak to me and pray out of your true dispositions, even if they are dark and seemingly disrespectful. I want you to make them the subject of your prayer. I do not want phony prayers and pretense. I will listen to your darkest utterances. I will meet you there and, having heard you, will not simply give you what you ask but will certainly listen. At times, I will point to my final justice and call you to patience and warn you not to avenge yourself (Rom 12:19). At other times, I will speak as I did to Job (38-41) and rebuke your perspective in order to instruct you. Or I will warn you of the sin that underlies your anger and show you a way out, as I did with Cain (Gen 4:7) and Jonah (4:11). At still other times I will just listen quietly, realizing that your storm passes as you speak to me honestly. But I am your Father. I love you and I want you to pray to me in your anger, sorrow, and indignation. I will not leave you uninstructed and thereby uncounseled. It is not obvious to me that speaking of these all-too-common feelings is a cause of psychological distress. Rather, it is the concealing and suppressing of such things that causes psychological distress. As a priest, I encounter too many people who think that they cannot bring their dark and negative emotions to God. This is not healthy. It leads to simmering anger and increasing depression. Facing our negative emotions—neither demonizing them nor sanctifying them—and bringing them to God as Scripture models is the surer way to avoid “psychological distress.” God is our healer, and just as we must learn to speak honestly to a doctor, even more so to the Lord. Properly understood (viz. St. Thomas), the imprecatory verses and other Scriptures model a way to pray in this manner. Discussions of this sort should surely continue in the Church. The imprecatory verses may one day be restored. For now, the Church has chosen to omit the most severe of the imprecations. I think we should reconsider this. The complete Psalter given my God the Holy Spirit is the best Psalter. Listen to this reading of one of the omitted psalms (109 ) and note its strong language. But recall St. Thomas’ reflections and remember that such verses, tough though they are, become teaching moments. Finally, recall that these psalms were prayed in the Church until 1970. To say that something is “necessary” is to declare that it is so essential that to be without it causes grave if not deadly harm. The word comes from Latin: ne- (not) + cedere (to withdraw, go away, yield). The root sense is that what is necessary is something from which we cannot stray, something from which there is no withdrawal, something we cannot evade. There is an expression in Latin, sine qua non, which literally means “without which not.” Its fuller meaning expresses something so essential that without it, other required things cannot proceed. Do you see prayer in this way, as necessary, as essential? Do you view at something without which other things cannot happen? Sadly, it would seem that many do not. Prayer is something easily postponed. It’s something to be done if the mood is just right, or if we have an urgent need. It is seldom scheduled and easily skipped in favor of almost any other activity. We seem to be able find time for everything else, but prayer is easily set aside—I’m busy; I’m tired; I forgot; something came up. These sorts of issues arise because most people don’t really view prayer as necessary. But prayer is necessary. St. Augustine said, “God who made us without us, will not save us without us.” Jesus stands at the door and knocks (see Rev 3:21), but we must open the door of our heart for him to enter and feed us. Prayer is our way answering, of opening the door. Little else will happen until we open the door each day to Him. This brief column is not intended as an exhaustive exposition on prayer. Rather, it is intended to remind us that we should see prayer as a necessity. To that end, here are just a few quick thoughts underscoring the essential nature of prayer. Jesus said, This sort of demon can only be driven out by prayer (Mk 9:29). Those who do not pray and are not prayed over may suffer intractable demonic attacks. Jesus said, Watch and pray so that you will not fall into temptation (Matt 26:41). Deadly temptations will certainly assail us if we do not pray. How can we expect to avoid serious temptations and Hell if we do not pray? Jesus said that we must always pray and not lose heart (Lk 18:1). We must pray, we must not give way to discouragement. James said, You have not because you ask not (James 4:3). How many gifts are lacking for us and others because we do not pray? Some gifts are only unlocked and sent forth by prayer. John Chrysostom said, “As the body without the soul is dead, so the soul is dead without prayer” (Homily lxxvii). We are dead without prayer! Augustine said, “God gives, without prayer, the first graces such as the vocation to faith and to repentance; but all other graces, and particularly the gift of perseverance, he gives only to those who ask them” (De Dono Persev, xvi). Notice that it is only to those who ask! Thomas Aquinas said, “Now after baptism man needs to pray continually, in order to enter heaven: for though sins are remitted through baptism, there still remain the fomes of sin assailing us from within, and the world and the devils assailing us from without. And therefore it is said pointedly (Luke 3:21) that ‘Jesus being baptized and praying, heaven was opened’: because, to wit, the faithful after baptism stand in need of prayer” (Summa Theologica, III, q. 39 art. 5). St Teresa of Avila reasoned, “Ask and you shall receive … then he who does not ask will not receive.” Now that is some straightforward wisdom! Alphonsus said, “He who prays is certainly saved; he who does not pray is certainly lost” (Considerations on the Eternal Maxims 13.2). Prayer is necessary! It is the sine qua non. Pray, my brethren; pray. Pray for the gift of prayer. Pray for the desire to pray. Pray! Prayer is necessary; it is essential. We do not always know everything we should pray for; we do not always remember to pray for everything. God knows our weakness. But failing to pray as a general norm is deadly to our life and our salvation. Did I mention that we ought to pray? Behold, I stand at the door and knock. If anyone hears my voice and opens the door, I will come in to him and eat with him, and he with me (Rev 3:20). The shared meal referred to here, beyond its reference to the Eucharist, is also a sign of intimacy. While our culture is casual about eating (and just about everything else), in those days sharing a meal was not done with just anyone. Meals were shared with close family and friends. That is one reason that people of Jesus’ time were often surprised to see the people with whom Jesus shared meals. St. Peter also shocked the people of his time when he entered the household of a Gentile (Cornelius) and ate with him (Acts 10 & 11). So, Jesus knocking at the door of our heart, seeking entrance, and sharing a meal, is a sign of reverence and intimacy. And we surely also need the food He offers: His Word and His Word made flesh. Yes, prayer is both beautiful and essential. Yet many Christians find prayer difficult. To some degree, our difficulties today are greater than in previous eras due to the constant noise and abundant distractions of our time. So noisy and frantic are our lives that sitting still and being silent is downright unnerving for many. This is all the more reason that we must pray and pray well! Learning to pray is not just a “fake it till you make it” proposition. As with any other area of life, we need to be taught; we can benefit from the experience of those who have gone before us. While it is true that prayer must be more than a “technique,” it is also true that prayer is more than a vague and purely subjective experience. Thus teaching can help us to find what is best and to avoid pitfalls that can discourage us. Of all the books on prayer I recommend, The Fulfillment of All Desire by Dr. Ralph Martin is at the very top of my list. Anyone for whom I have been a spiritual director will attest that my first request of him or her is to obtain a copy of Dr. Martin’s book and begin reading it. The book is valuable not only due to Ralph’s own wonderful insights, but also because he organizes and summarizes the teachings of the great Doctors of prayer (from the Catholic and Western traditions) so well. He draws heavily from St. Paul, St. Augustine, St. Teresa of Avila, St. John of the Cross, St. Catherine of Siena, St. Francis De Sales, St. Therese of Lisieux, St. Bernard of Clairvaux, and St. Thomas Aquinas. He organizes the material along the fundamental stages of prayer: the purgative way, the illuminative way, and the unitive way. In the purgative stage we seek, by God’s grace, to identify our sins and attachments and to become increasingly free of them. We undergo basic conversion and begin to develop the habit of prayer. In the illuminative stage we see our love for and intimacy with God and neighbor increase, the virtues grow stronger within us, and our prayer become quieter and deeper. In the unitive stage, having made progress by grace, we receive a habitual, deep, and ever-deepening union with God, marked by joy, humility, and stability. In his presentation of each stage, Dr. Martin samples richly from the writings of the saints and the teaching of the Church. He also gives much practical advice that helps to root the teaching within the setting of the modern world. He goes to the sources and brings them to us, applying their wisdom to our situation. Simply put, the book is essential to anyone who seeks a guide to prayer. And, dear readers, I hope you do seek a guide to prayer, for prayer is essential. Jesus said that temptation is looming, and if we don’t pray our lives can go off track pretty quickly without that remedy. But the Lord did not leave us alone to respond to so great a summons! He has sent us saints and biblical wisdom to teach us. And in our times, He anointed Dr. Ralph Martin to compile and present this wisdom to us freshly and comprehensively.